At the bottom of the screen, you can configure the coin value, the number of active pay lines, and coins per pay line. There also is a Max Bet function, which you can find right next to the buttons for the other configurations. And next to the Max Bet, you will find the skip button, which you can use if you want to speed things up. There also is a double up button, which, when activated, will make all your winnings to be doubled. Finally, this slot also has an autoplay function, which you can configure the way you like. For example, you can configure it in such a way that it will play 100 spins, and it then just turns itself off. This way, you know exactly how much you will wager! Birds is a slot produced by software developer Betsoft, has five reels, three rows, and a wild symbol. When opening the game for the first time, it will immediately remind you of a game called birds on a wire by Thunderkick. However, there are plenty of differences between the two. A slot with no pay lines, how is that possible? With the absence of pay lines, every combination of three or more symbols adjacent to each other will yield a payout. However, this does not work when they are connected diagonally. When you have a winning combination, the other symbols will drop and new symbols will take their place. In this way, your chances of winning are quite high! As the name suggests, the theme of this slot is birds. Therefore, this slot is filled with various kinds of birds. This is a very fun aspect of this game, as you can also just spend a lot of time wondering about what types of birds there are, and what their function is. When there is a winning combination, the bird of this combination will be zoomed in on, which gives you a chance to inspect them more thoroughly. Also, they might actually do something, like, read a book. These animations make this game even more interesting. Birds is a relatively simple slot, and even though it does have 3D animations and great graphics, feature-wise the slot is a bit poorly equipped. The game does have free spins, which are here called free flights. To reach these free flights, you don’t need a certain combination of birds. You need a big enough streak of winning spins. There is a bar on the left-hand side of the playing field, which has to get filled. Even though it might seem hard to have a sufficiently big enough streak of consecutive winning spins, it actually isn’t that bad! When succeeding, you will receive eight free spins. With Birds, Betsoft has released a very fun slot. However, there are a few things you should bear in mind. Firstly, as said before, the slot does not have pay lines. Also, there are no exciting, surprising elements – like Thunderkick does have in their game, with the hidden cat. So, when it comes to features, this slot does not make it to the top. Otherwise, this slot is very entertaining. 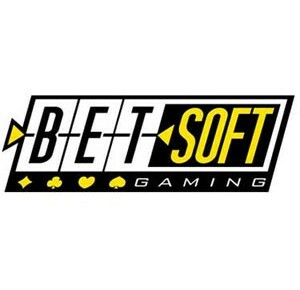 Therefore, this slot gets an average score, for a Betsoft slot.